The configuration of the top search form: Search minivan or minibus vehicles at the rental location 'Bavaro-Higuey - Punta Cana International Airport'. - use the map of Dominikana. Typical models of the minivan/minibus class in Bavaro-Higuey are: Ford Galaxy 7 seater, Peugeot 807 7 seater, VW Caravelle, VW Kombi 8 Seater, VW Touran, Chevrolet Suburban 8 Seater and others. Standard capacity of a minivan in Dominikana is up to 9 people (8+1 formula), traditionally providing seven or eight passenger seats. The capacity of a minibus may vary from 9 to 15 people. Please note, that in order to rent in Dominikana a vehicle with capacity which exceeds 8 passengers, you would need a driving license of the corresponding category. Minivan dimensions are quite unusual for an ordinary driver, which sometimes leads to appearance of scratches and dents during unsuccessful manoeuvring or parking. Therefore, we encourage you to order full coverage of insurance franchise during your booking, or directly at the rental office in Bavaro-Higuey. Before leaving the parking garage in Bavaro-Higuey, inspect the minivan for exteriour defects and other signs of damage together with the office representative and mark the found defects found in your rental documents. OrangeSmile.com wishes you a great driving experience on the roads of Dominikana! Even if there is a traffic jam at the crossroads, nobody pays attention to it. Cars simply keep moving and stop at the crossroads, blocking traffic in all directions. Naturally, the official traffic regulations do not allow such actions, but local drivers care very little about traffic regulations. If there are traffic jams on the roads, the most enterprising drivers try to overcome them by driving on road sides. If at least one driver succeeds in making such a maneuver, all other cars will follow its example. Taxi drivers and small bus drivers are among most frequent violators of traffic regulations. Locals often call them “Guagua”. Drivers of these vehicles are always in a hurry, and so they can easily make most incredible maneuvers on the road. 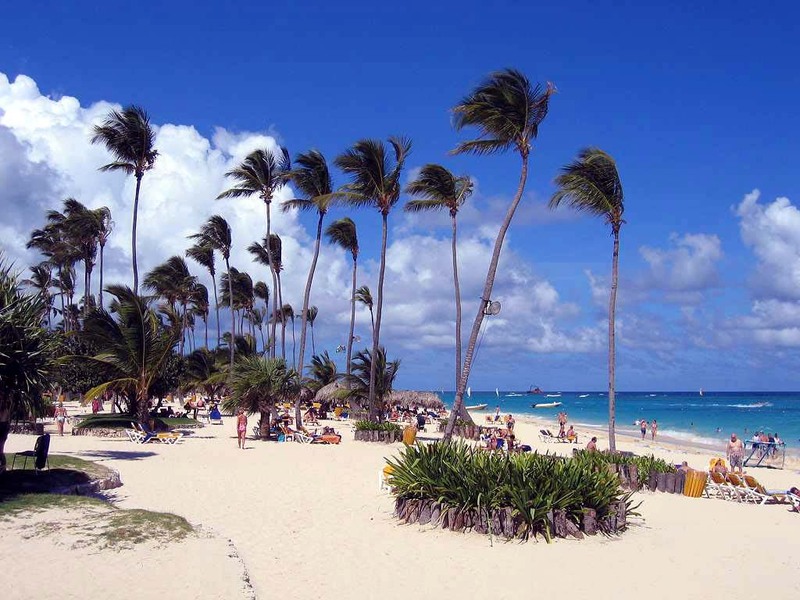 Without a doubt, beach recreation is one of the main reasons why so many tourists visit Punta Cana. More than 50 kilometers of the beautiful coastline ensure that beaches are never too crowded. As local laws protect public access, there are no private areas and closed beaches on the resort. Therefore, guests can stroll along the coastline, explore popular beaches like Los Corales and Playa El Cortecito that are usually quite crowded and then move to more secluded areas. However, tourists should keep in mind that they won’t get a towel or chair without the bracelet of the proper color. Playa Arena Gorda is a popular resort located north of El Cortecito. There are many all-inclusive resorts near this beach, so it is usually quite crowded. This beach has a well-developed infrastructure and offers entertainment, such as banana boat riding or parasailing. Surfers like another beach – Playa del Macao. It is possible to reach it by car. Those, who simply want to sunbathe on the tender golden sand, will like Playa Uvero Alto Beach. Romantic couples and everyone who seeks privacy will be in love with Playa Cabo Engano. It’s an isolated beach that can be reached by car only. 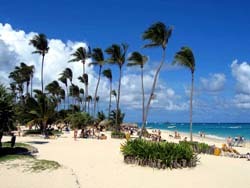 Finally, Playa Juanillo might be the cleanest beach in the area – Cap Cana staff cleans its sands absolutely every day. Fans of nightlife will not be disappointed with Bavaro. In addition to nightclubs and bars at hotels, there are many venues not far from Los Corales and El Cortecito. Puntacana Village also has some discos and bars that are suitable for visitors who seek quieter venues than vibrant Bavaro. Vibe, Coco Bongo, Legacy Disco, and Oro are usually present in the list of the most popular nightclubs of the town.